Gerry works with agents, agent staff, employees and internal business partners to help customers protect their dreams. As chief sales officer, his team includes the East, West and Central sales regions, as well as Sales Strategy and Support, Sales and Service Operations, and Agency Strategy divisions. Gerry began his career at American Family in 1990 as an agent in his hometown of Arcadia, Wisconsin. He later held sales leadership roles, including district sales manager, state sales director and regional sales vice president. In 2006, Gerry became Marketing vice president, and in 2007, he led the Commercial-Farm/Ranch Division, before becoming an executive vice president in 2009, and eventually chief sales officer in 2014. Gerry earned a Bachelor’s of Business Administration Business Finance degree from the University of Wisconsin-Eau Claire. Fabian leads American Family affiliate, Homesite Group Inc., with headquarters in Boston. Founded in 1997, Homesite offers homeowners, renters and condo insurance in 48 states and the District of Columbia. Fabian started at Homesite in 1999 as chief operating officer, following nine years at Chubb Insurance, where he was a chief marketing officer, managing director and senior vice president, as well as a member of Chubb’s Operating Committee. His previous roles at Chubb included manager of its London/Lloyd’s Brand in the United Kingdom, and assistant to the chairman of Chubb Europe, with responsibility for European information technology and customer service. Earlier in his career, Fabian was a consultant at Monitor Company, a strategy consulting firm founded by Professor Michael Porter and a number of his Harvard Business School colleagues. Fabian earned his bachelor’s degree in economics from Harvard College and MBA from Harvard Business School, where he graduated as a George F. Baker Scholar. Fabian serves on the Board of Directors of Deaconess Abundant Life Communities and is a member of the Centennial Campaign Executive Committee at Regis High School in New York City. In 2013, he completed his term as chairman of the Concord-Carlisle Regional School Committee, and has served on the board of trustees of Regis High School. David is responsible for Business Development, Government Affairs and Compliance, Legal, Strategy, and Strategic Data and Analytics. He also serves as Corporate Secretary to the American Family Board of Directors. David joined American Family in 1986 as a claim attorney and left after two years to enter private practice. During that time, his firm, Brown & Holman, represented businesses and insurers in litigation. American Family was a primary client. He rejoined American Family as a senior claim attorney in 1998. In 2000, he was named corporate legal assistant general counsel. Five years later, he was promoted to associate general counsel. In March 2010, David was named vice president of the Corporate Legal Division. He became chief legal officer in November 2010, and remained in that role until he became chief strategy officer in January 2014. He is a founding member of the company’s multicultural Business Resource Group. David earned his bachelor’s degree in economics and political science from St. Olaf College in Northfield, Minn., and his law degree from Hamline University College of Law in St. Paul. Dan oversees the financial functions at American Family: Investments, Controller, Enterprise Risk Management, Internal Audit, and Reinsurance. His team also includes Business and Workplace Services. Dan serves as Treasurer to the American Family Board of Directors. Dan began his career at American Family as a financial analyst in 1987 in the Controller Division. He was promoted to accounting manager in 1993 and then was named accounting director in 2000. In 2003, Dan moved to the Life/Health Division as planning and risk management director, moving shortly thereafter to the Life/Health product design director position. In 2006, Dan returned to the Controller Division as financial analysis director. He was elected vice president of Human Resources in October 2007. In July 2011, Dan was named chief financial officer/treasurer. Dan received his bachelor’s degree in business administration and MBA from the University of Wisconsin-Madison. He is a certified public accountant, a licensed insurance agent in Wisconsin and has earned his Fellow, Life Management Institute and Associate in Customer Service designations. Peter Settel is the American Family Enterprise Chief Technology Officer, overseeing technology strategy, architecture and prioritization. Previously, Peter was the Homesite executive vice president and chief information officer. Peter joined Homesite in 2001, leading Homesite’s IT function. During his tenure, Peter also led Digital Marketing, Call Center/Operations and key business partnerships – focusing on extending Homesite’s technology platform advantage, and on teams, talent and innovation. 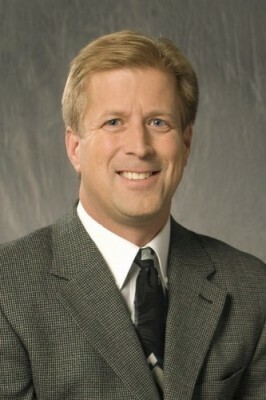 Since American Family acquired Homesite in 2013, Peter has had responsibility for launching the AmFam | Connect program, and has served as chief information officer of American Family Direct, with oversight of technology strategy and architecture including Homesite, The General and AssureStart. Before Homesite, Peter worked in technology leadership roles at Cambridge Technology Partners and was co-founder of MediaLink Interactive, Inc. He has a degree in finance and investments from Babson College. Peter and his wife, Karin, have four children. They will relocate from Boston to Madison in 2019. Peter enjoys reading, sports and his family. Jessie is the chief operating officer overseeing operations of American Family brand products and services offered through the agent channel. She works with the chief sales officer and product line presidents (Personal Lines, Life, Commercial-Farm/Ranch and B and A Insurance Solutions). These accountabilities range from the design and pricing of products to the sales and service provided to customers by agents, claim adjusters and call centers. Previously Jessie served as chief administration officer overseeing Business and Workplace Services, Communications, Human Resources, Strategic Data and Analytics, and Talent Management. Jessie began her American Family career in 2004 as a senior financial analyst. Her positions at American Family have also included project manager, senior modeling and risk management analyst, planning and metrics manager, executive administration director, internal audit director and chief of staff for the CEO. Jessie graduated from the University of Wisconsin-Whitewater with a bachelor’s degree in business management, and got her MBA from the University of Wisconsin-Oshkosh. Jessie also holds the Chartered Property Casualty Underwriter (CPCU) designation. Bill was elected president in 2017, and oversees the American Family enterprise. He started at American Family in 1996 as an actuarial analyst. Bill later became the division's actuarial manager, homeowners lines director and risk pricing director. In 2006, he was elected vice president of the Actuarial Division. In 2008, he was named vice president of Personal Lines. 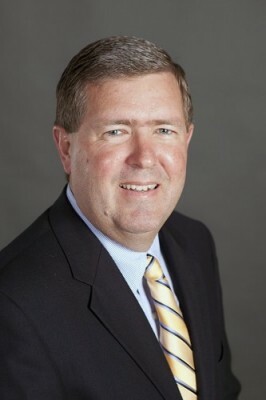 Bill became an executive vice president in July 2011, when he began oversight of the product line divisions: Commercial-Farm/Ranch, Life and Personal Lines. He continued in that position until assuming the role of American Family chief operating officer in January 2014. Bill is a fellow of the Casualty Actuarial Society and a member of the American Academy of Actuaries. He earned his bachelor’s degree in mathematics from Northwestern College. Telisa has chief executive accountability for American Family’s Communications, Customer and Marketing divisions. She joined American Family in 2009 as advertising director in the Marketing Division, and was promoted to vice president of Marketing in 2013. Telisa was named Chief Marketing Officer in 2016. Prior to joining American Family she served in marketing leadership positions at several companies, including Ford Motor Co. and Burger King. She has since overseen all branding, marketing and advertising activities for the company, including launching the award-winning “Dreams” campaign in 2011 and its numerous extensions. She also introduced the concept of inspirational brand ambassadors to serve as “dream champions,” and the company now has seven brand ambassadors. In 2016, Telisa was named to the prestigious EBONY POWER 100 list, along with many notable and influential leaders, including the Obamas, Michael Jordan and Beyoncé. She also earned spots on Savoy magazine’s 2014 list of Top 100 Most Influential Blacks in Corporate America, and the 2016 Top Influential Women in Corporate America. Telisa is a graduate of the University of Illinois and earned an MBA from Northwestern University’s Kellogg Graduate School of Business.